Graduation ceremonies are wonderful formal events and you'd would, of course, want to make sure that you're properly and comfortable dressed for the occasion. This is why when you graduate from a master's course, you'd like to ensure you find the best quality master's graduation gown made from the finest materials. 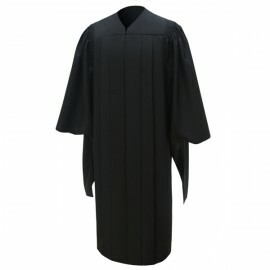 The great news is that you can find a wide array of exquisitely manufactured college and masters graduation gowns at unbelievably low prices only here at Gradshop.com. With years of experience in providing low-priced top quality college graduation regalia for graduates all over the world, Gradshop.com is your first choice for all your graduation needs. We use only the finest materials and the highest manufacturing standards to make sure we supply you with nothing but the best. 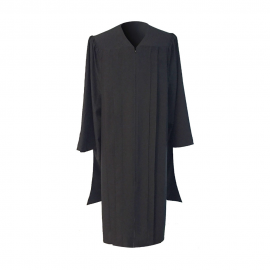 When ordering items from us like the college master's cap, gown and tassel package, you'll receive a stunning matte black masters gown which effortlessly combines, style, comfort and quality. Another thing to remember is that we provide prompt delivery of all your orders. You can be sure your college masters graduation products are delivered straight to your doorstep in a very timely manner.